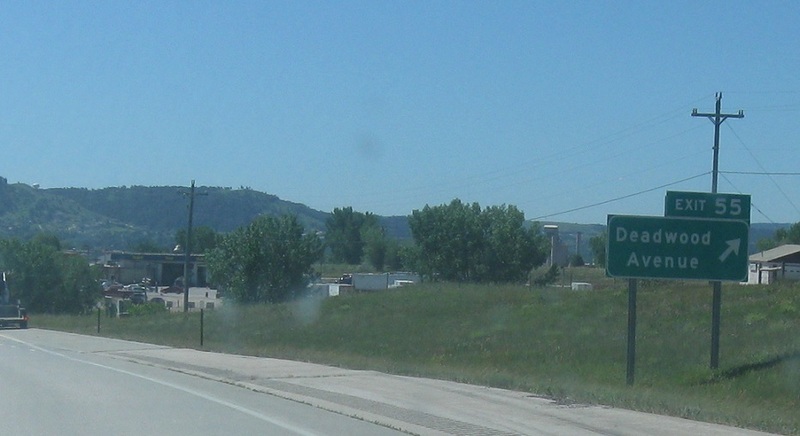 Reassurance shield after the SD-231 interchange. 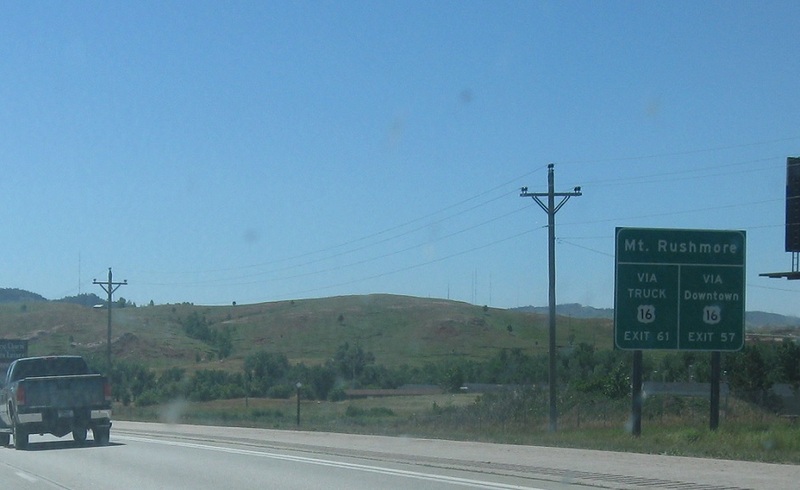 As we enter Rapid City, we’re advised that there are two possible routes to get to Mt. 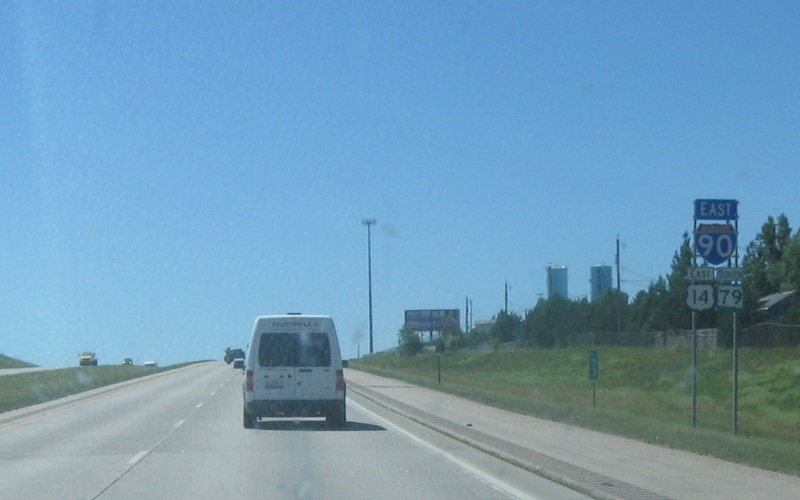 Rushmore via US-16. Exit for Deadwood Ave, which is unsigned SD-445.